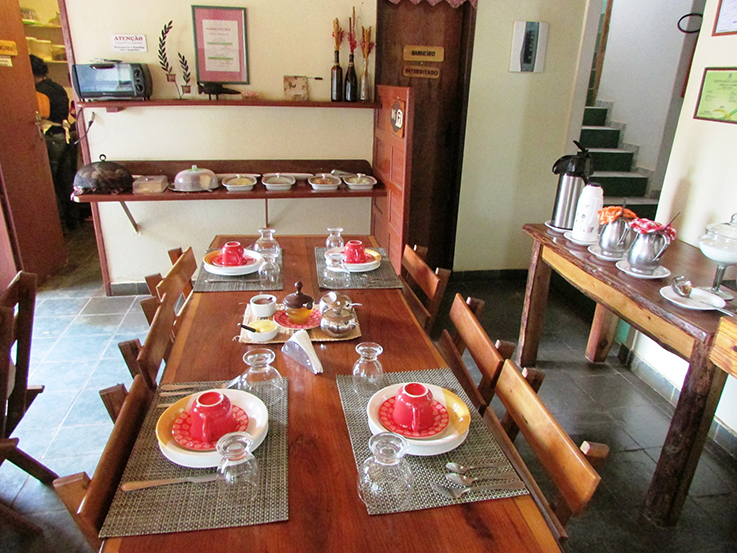 We offer to the visitors a quality hosting at the heart of the village allying comfort, peace, looseness and diverse services: personalized and smiling reception, five comfortable rooms from two to four people with bathroom, buffet breakfast included in the price (except for shared rooms), free Wi-Fi in rooms and nice view over the national park. 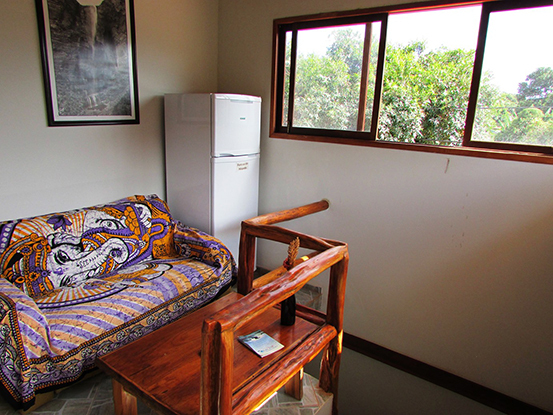 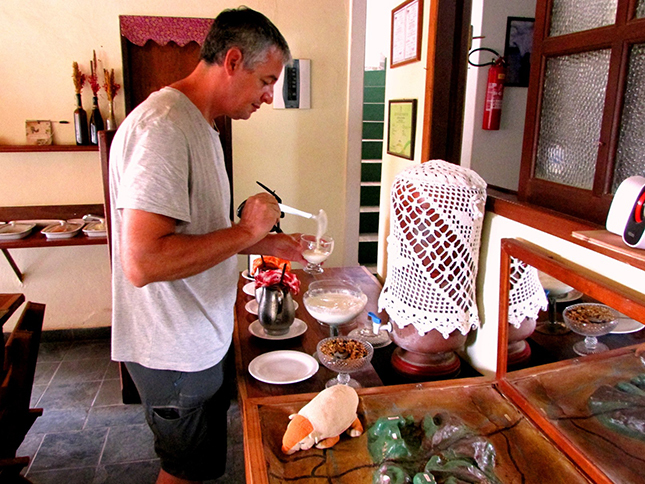 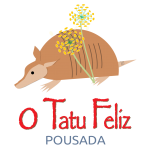 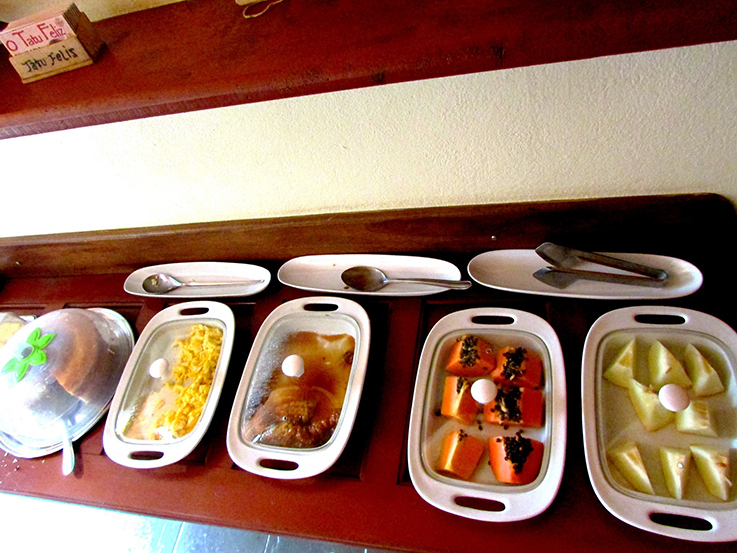 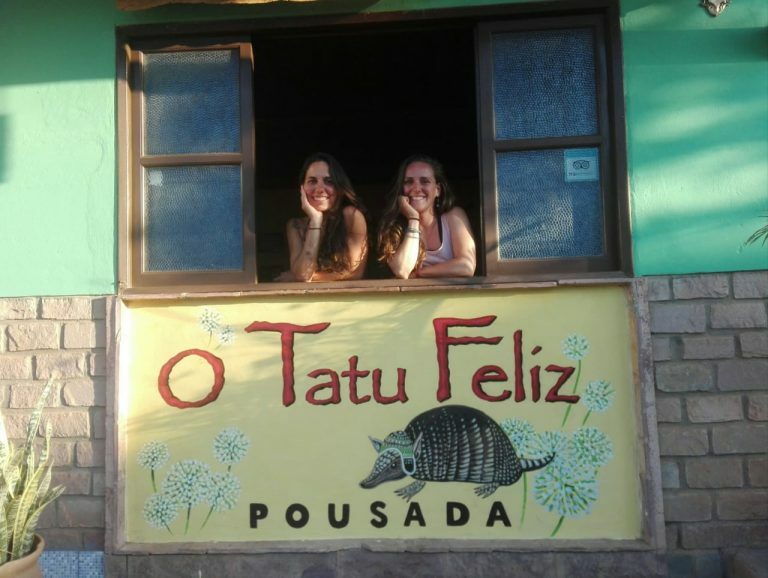 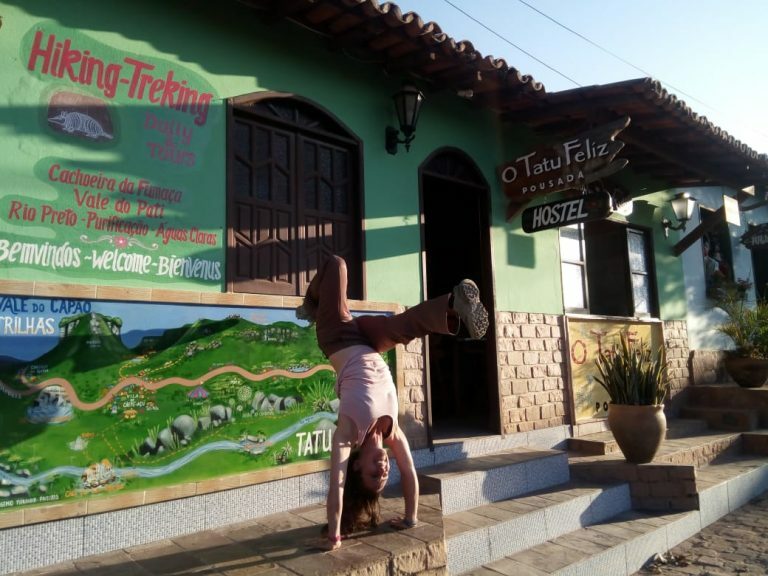 The pousada is the base of operation of the ecotourism agency ” Tatu na trilha“. 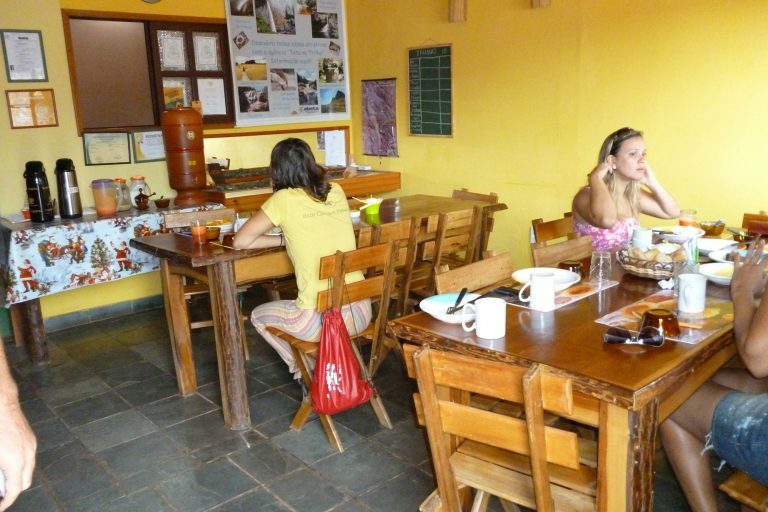 You will find on the spot all the opportunities to organize your excursions and trekkings: maps, English-speaking guides, insurance as well as informations regarding local cultural and sportive activties. 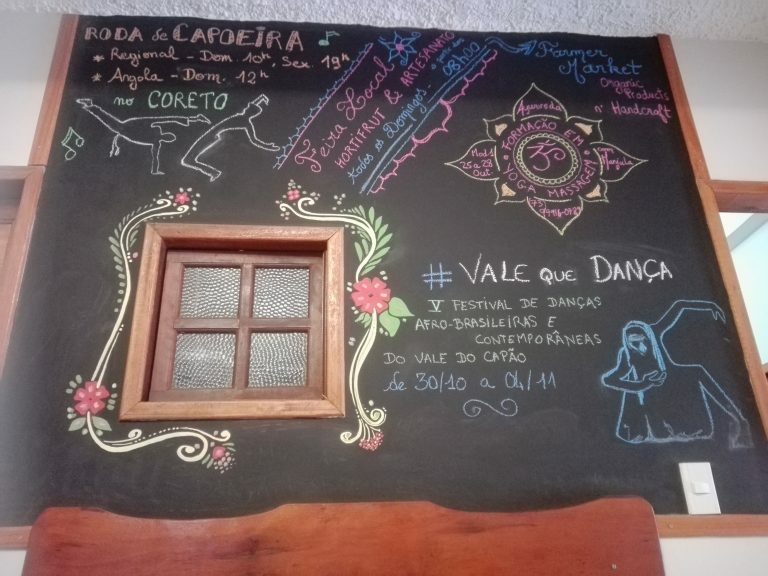 The village of Capão allies the charm and the authenticity of the villages of Bahia with its space capoeira, his(her) small shaded bars and its theater where we dance the forr ó on Saturdays evenings. 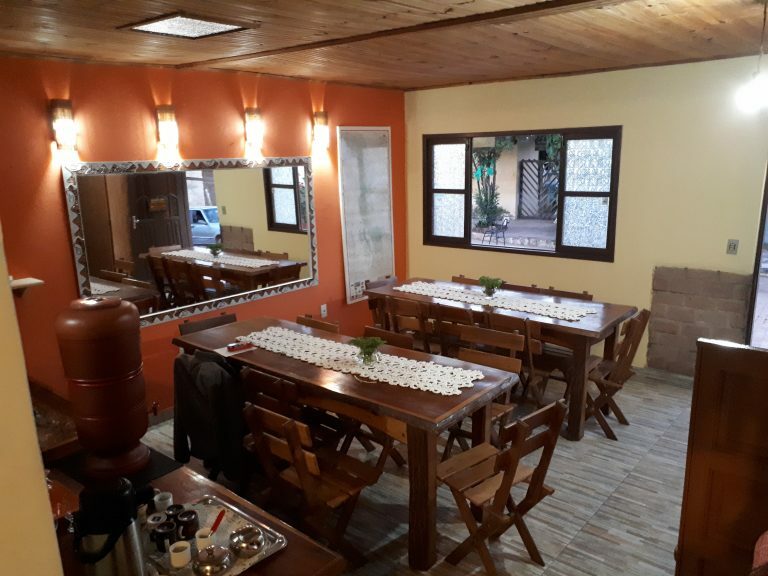 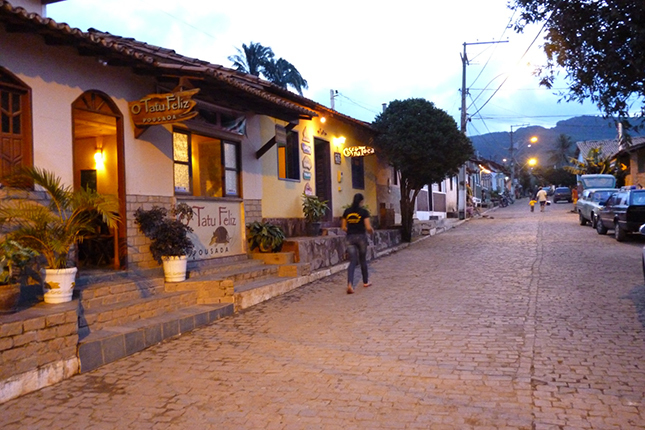 Diverse shops of small business sector(crafts) and natural products as well as a small supermarket complete this community where mix walkers come from any horizons and Brazilian tourists. 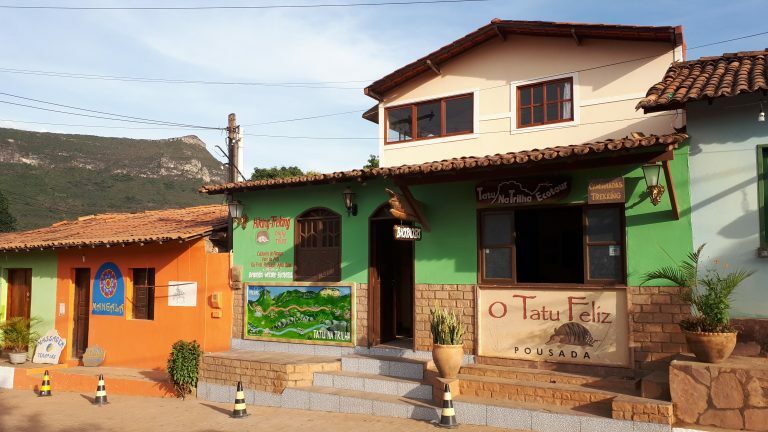 It is the ideal starting point to know the natural reserve of Chapada Diamantina that extends everything around the valley.